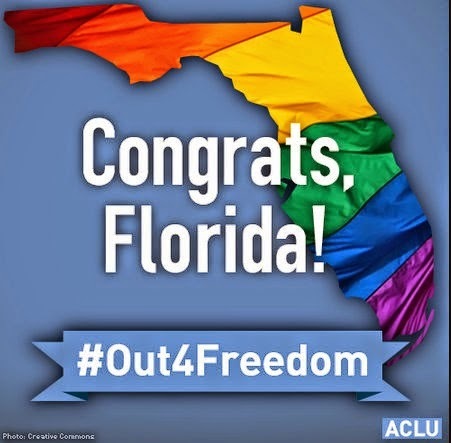 Congratulations are in order for my home state of Florida. Marriage Equality will be effective here on January 6. 2015. 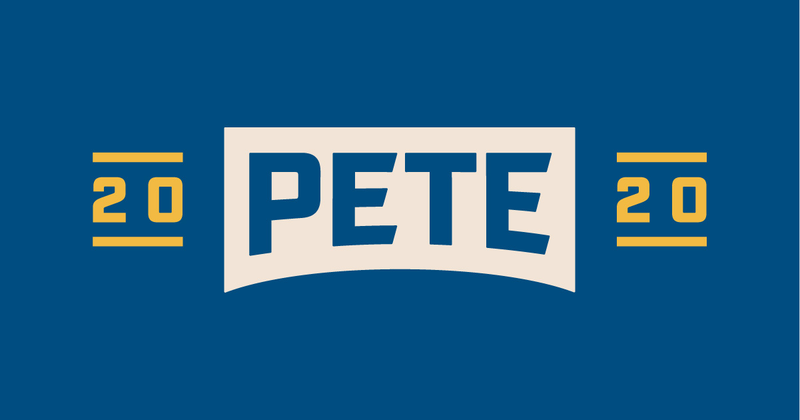 The U.S. Supreme Court (SCOTUS) has refused to stop marriage equality from beginning here by not granting a stay on a lower court decision favoring marriage equality last evening. SCOTUS did not actually rule in favor of marriage equality but is not stopping it from proceeding. However, confusion remains, due to conflicting guidance and incomplete court orders on the issue. The actual details are going to be worked out over the next two weeks. It might take another ruling or two to get the order underway in all parts of Florida. Florida, with 19,800,000 people, will officially move ahead of New York State in 2015 to be the third most populated state in the United States after California and Texas. Five of the six most populated states now have marriage equality. Right now, including Florida, over 220 million United States citizens live in locations where they can marry the one they love, However, almost 100 million United States citizens live in states and territories without marriage equality. It is only a matter of time before all United States citizens have this right -- SCOTUS is expected to rule on making this a right for all citizens by June of 2015. 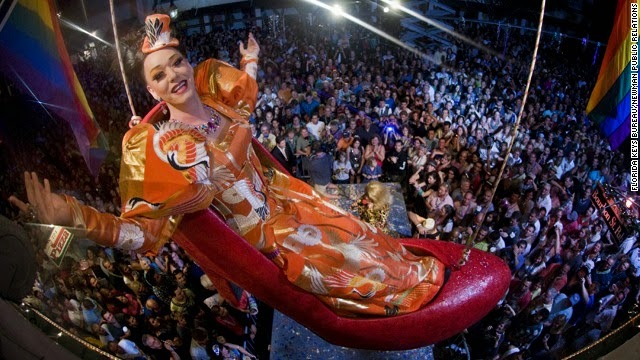 Key West will be partying straight through New Year's with today's decision, making the famous drop of the high heel on the stroke of Midnight with performer Sushi all the more merry on New Year's Eve! Update: The home counties of Miami, Key West, Tampa, Kissimmee (South Orlando), Tampa, St. Petersburg, and Fort Myers have already announced that they will have marriage equality on January 6. Of Florida's largest cities, only Jacksonville has said they will not, and is waiting additional instructions. Other areas will be stating their position shortly.